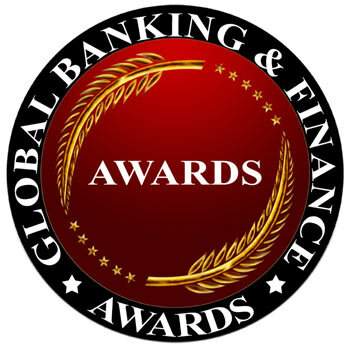 The Global Banking and Finance Review Awards were created to recognize companies of all sizes that are prominent in particular areas of expertise and excellence within the global financial community. The awards are known throughout the global banking and financial community. They reflect the innovation, achievement, strategy, progressive and inspirational changes taking place within the financial sector. The Awards have evolved and grown to include those in Foreign Exchange, Banking, Insurance, Hedge Funds, Pension Funds, Compliance, Corporate Governance, Wealth Management, Islamic Finance, Exchange Traded Funds, Project Finance, Binary Options, Technology, Corporate Social Responsibility, and other relative areas. The entire awards process is free of charge. This includes Nomination, Selection and announcement under the Award Winners section. Optional Media Coverage is available to the awards winners at a cost. Award nominations in the various Awards categories are received from our readership and from individual companies themselves through written submissions or by way of our on-line nomination form throughout the calendar year. Whilst we take all reasonable steps to ensure that the grant of an Award is merited we cannot and do not guarantee that it is and we, therefore, exclude any liability for any loss or damage arising as the result of an Award being granted. We will not accept responsibility for any errors, omissions or mis-statements which may have inadvertently led us to grant a particular Award to a particular nominee. The grant of an Award is in no way to be taken as an endorsement or recommendation by us of a specific company, product or service. Whilst Global Banking and Finance Review accepts in good faith the materials and information available to it at the time of receipt of Award submissions, we will not accept responsibility for any damage and/or loss of materials or documents which are submitted to us as part of an Award nomination. We strongly recommend that you consult a suitably qualified professional adviser for advice relating to any specific enquiry or issue whether or not arising from the grant of an Award. We do not accept any liability whatsoever for the content of external web sites.